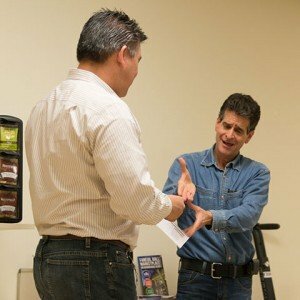 Dean is no longer affiliated with Segway in an official capacity but his passion for the Personal Transporter, and his support of Segway as a company has never wavered. Several years ago he founded DEKA Research to focus on the development of inventions, as well as provide research and development for corporate clients. However over the years, he has continued to closely monitor the company he started in 1999. Dean was invited to the employee meeting under the guise of sharing his perspective on the Company’s current expanded vision and positive direction. After his extended remarks to the team Roger Brown, Segway’s owner, presented Dean with a $10,000 donation to FIRST (For Inspiration and Recognition of Science and Technology), an organization Dean founded in 1992. FIRST’s mission is to design accessible, innovative programs to young people and help them build self-confidence, knowledge and life skills while also motivating them to pursue opportunities in science, technology and engineering. The organization serves more than 500,000 children, ages 6 to 18, throughout the globe. Thanks Dean for stopping by and for your words of encouragement. Drop in on us anytime. 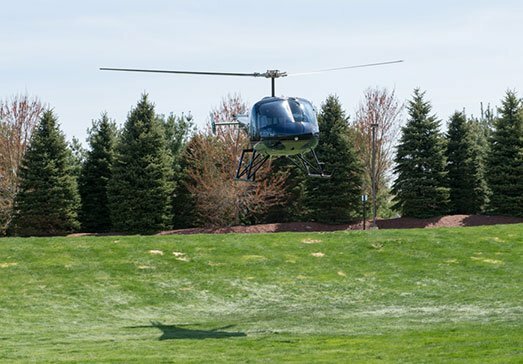 The back lawn makes for a great helipad!